Home » The Balloon Flight! What To Expect On The Day! 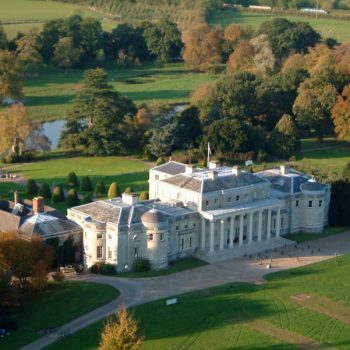 It’s easy to buy Flight Vouchers through this website, but also feel welcome to call us on 01603 952 800 where our friendly team will be happy to answer any questions and take your order details over the phone. When buying a Flight Voucher, most customers want to let the recipient choose their own flight date. Vouchers are valid for at least 12 months. However, if you do have a special date in mind, you can select the flight date and buy the voucher at the same time. We Fly Year Round, Subject To The Weather And Ground Conditions. That’s 7 days a weeks if possible – 12 months of the year! (but not Christmas Day!). We have two flights each day, with the first one about an hour after sunrise, and then again a couple hours before sunset. 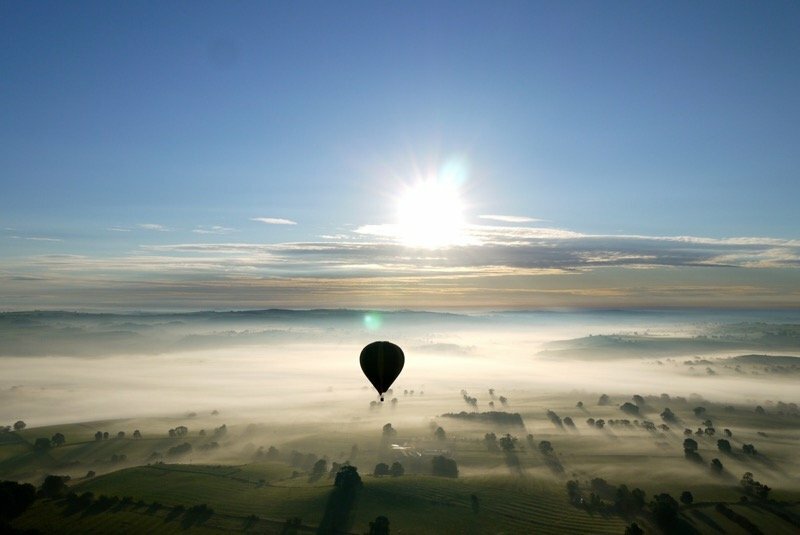 These are the best times of day for hot air balloon flights. Of course, hot air ballooning is highly weather-dependant. We cannot fly if it is breezy, or foggy or raining. We want everybody to have a safe and enjoyable experience! 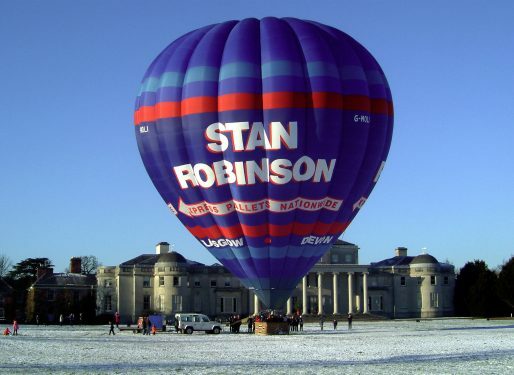 But don’t worry if the weather prevents your balloon flight, you simply re-book another date and try again. If you’d like to see the flights we’ve scheduled for the next 40 days, just click on ‘Redeem Voucher’ at the top right. Please note that our competitors do not let you see their schedules until you’ve purchased your voucher. Maybe they don’t want to show you how little availability they have! 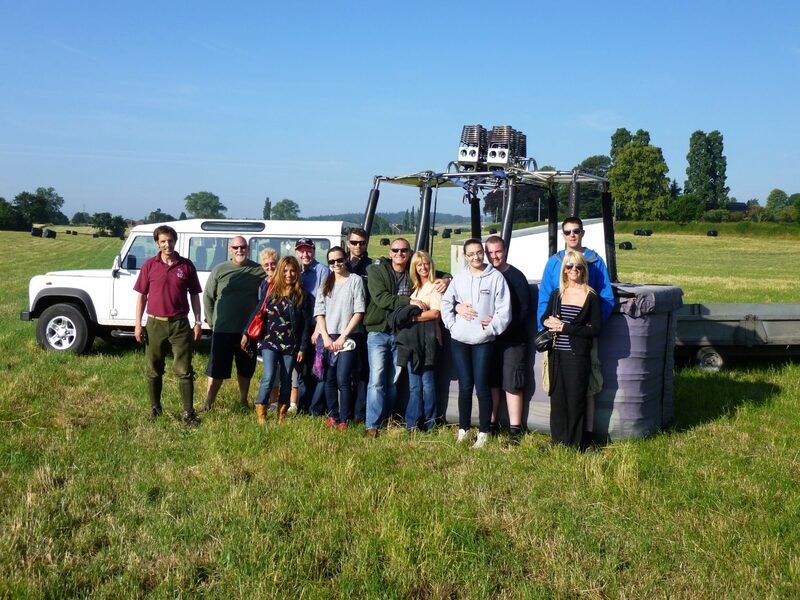 When arriving at our launch venue, you will be met by one of our crew for check-in. The pilot and crew prepare the balloon for flight, and passengers are welcome to watch or even join in if they wish. When ready, the inflation begins with cold air fans blowing fresh air into the envelope. 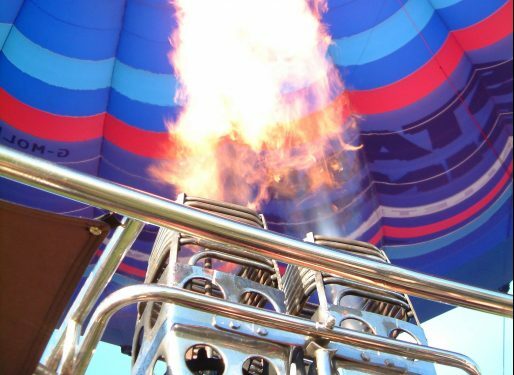 After about 10 minutes, the pilot heats the air with the burners, and the balloons rises off the ground into an upright position. This is a surprisingly quick process. When everything is ready, the pilot will invite the passengers to board, and a few minutes later, the balloon rises into the sky! We’re airborne! Once airborne, the flight duration is about an hour – and is sometimes almost an hour and a half! Allow 3 to 4 hours for the whole experience. 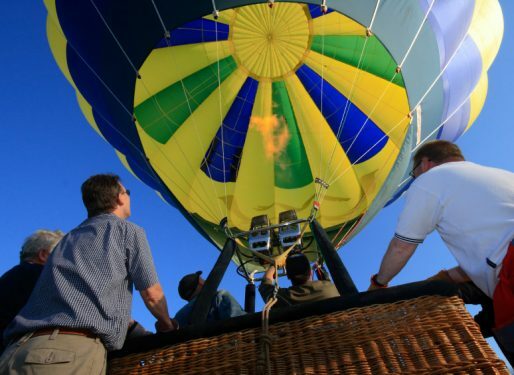 One of the attractions of ballooning is that we float along on the breeze with no means of steering! There’s no plan or route, and we just fly along until we spot a suitable place to come back to earth. We might travel 2 miles, or 22 miles – we just don’t know! Each balloon flight is a unique journey! A snowy launch on New Year's Eve! Four Metres of Flame Shoots Up! 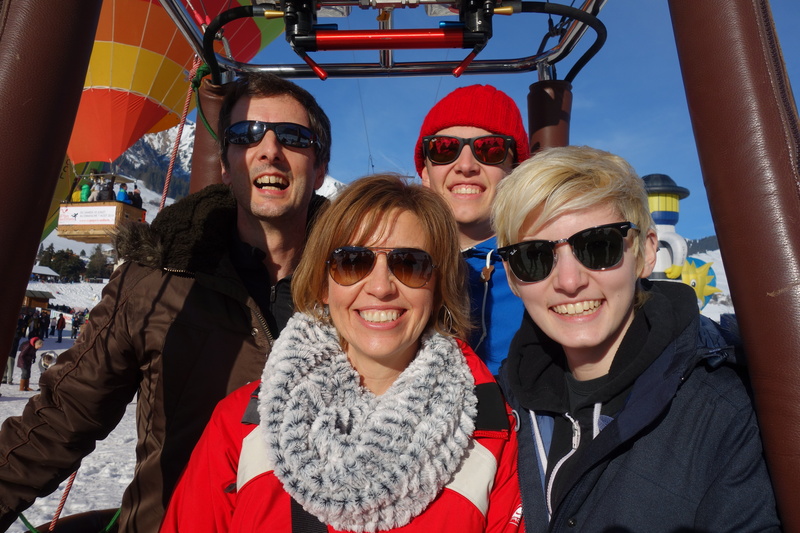 Passengers often expect the conditions to be cold or windy up in the balloon, but they are always pleasantly surprised by just how warm and comfortable the flight is. Of course, there’s no chill from the breeze, because we’re moving with the wind, and the basket just hangs motionless like a pendulum! There’s no feeling of going up & down, or turbulence, all adding up to a wonderful sensation of tranquillity, whilst being exciting at the same time. After landing, we all join in with packing the balloon away whilst the pilot serves Champagne and soft drinks. The ground crew will have tracked the balloon by road, and so they collect all of the equipment and then provide return transport back to the launch site for all of the passengers. 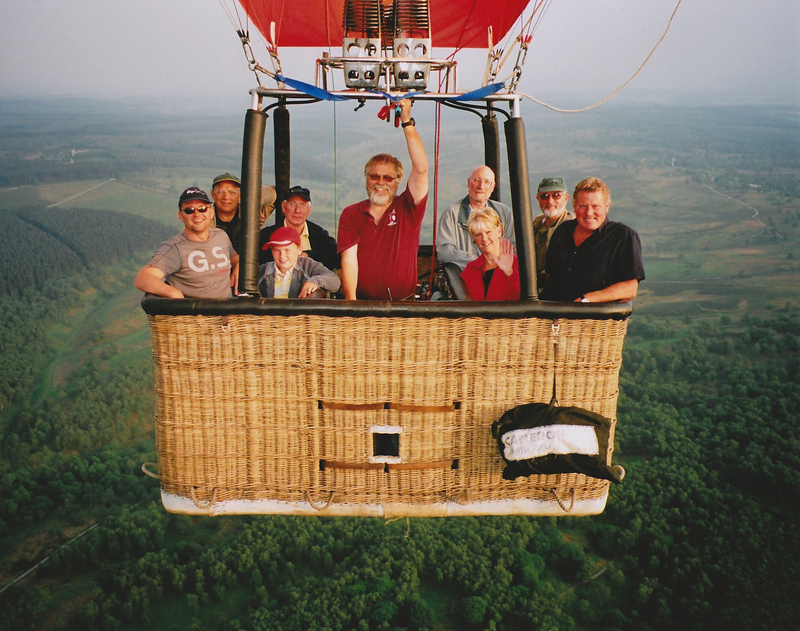 During most flights we take superb in-flight photographs of the passengers, which provide fantastic souvenirs to remind you of the balloon flight for ever! 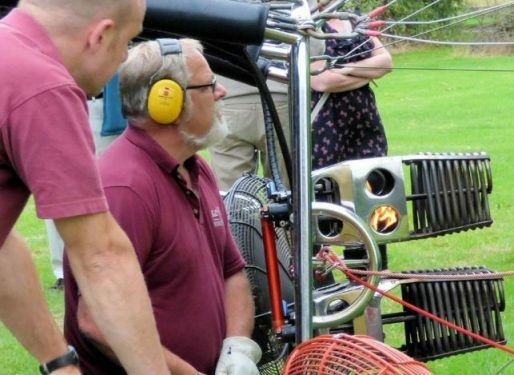 Shown in the photo at the top of this page is our Andy flying an eight person balloon. As you can see, everyone is comfortable, warm and smiling! 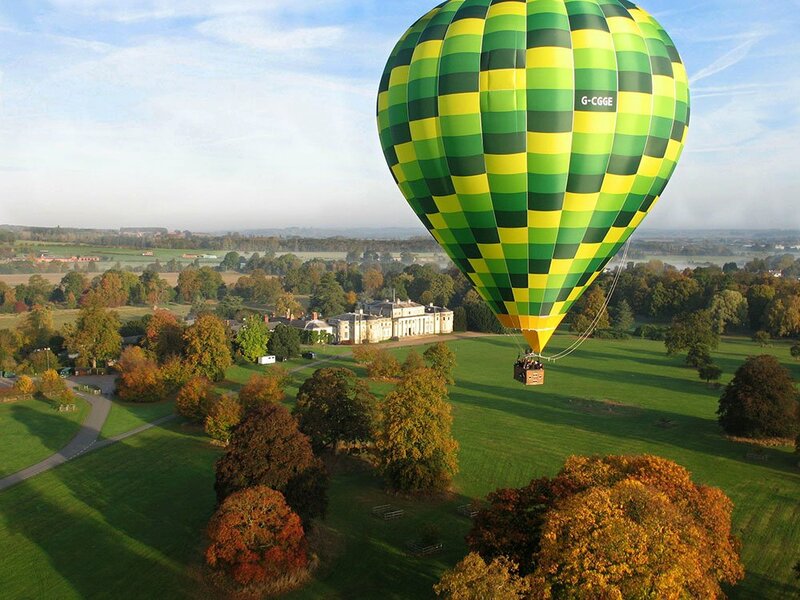 Hot Air Ballooning is suitable for children and the elderly alike, but a degree of agility is required. There’s no higher age limit; our most senior passenger was 100 years old! Children need to be at least 4’6″ (1.35m) tall. Passenger safety and enjoyment is our prime objective, so please call should you have any concerns about a passenger’s suitability to fly. As already mentioned, we fly soon after sunrise and then again a couple hours before sunset. Of course, as the seasons go by, the days get longer or shorter. This means that we have to adjust our take off times accordingly. In summer months, when the days are longest, we might meet at 5.30am for a dawn flight, and then not meet until 6.30pm for an evening one. Conversely, in winter, it might be 8am and 1.30pm due to the short days! 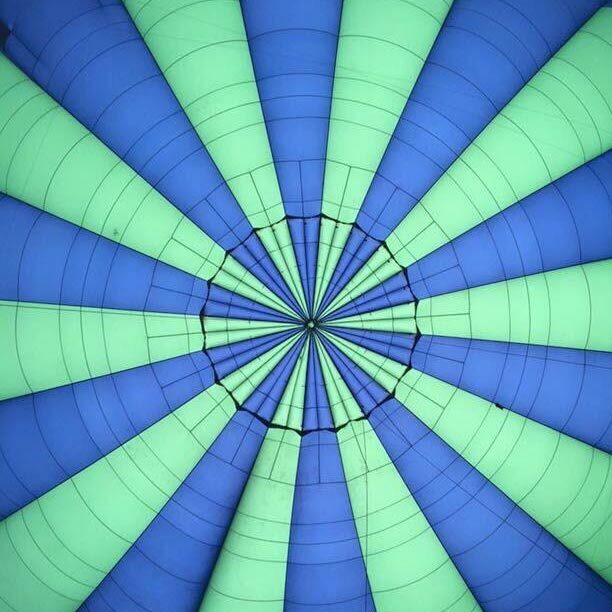 Hot air balloon flights simply cannot take place during the middle part of the day in summer due to the thermals. Whilst great for the glider pilots, thermals are dangerous for balloons. 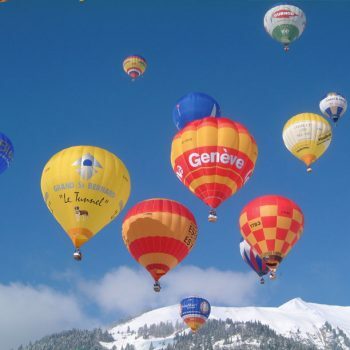 Thermals are generated by the sun’s warmth, hence balloons flying when the sun is lower in the sky!